The inventors of the ideal cut present this engagement ring with every diamond made with the precise ideal-cut formula allowing for superior fire and brilliance for a truly dazzling finish. 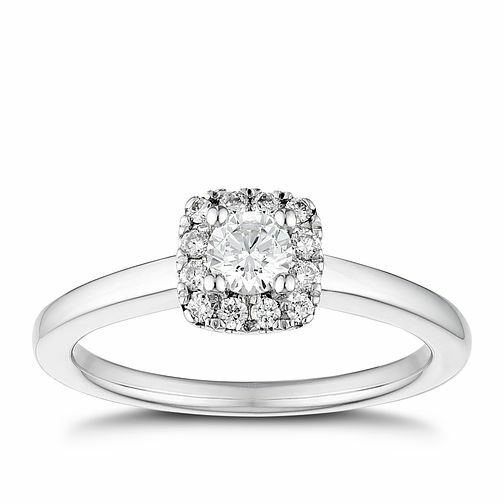 The engagement ring also features a cushion-shaped halo of round brilliant diamonds for an added luxury. The total weight of the diamonds comes to a total of 2/5ct.